An Istanbul court, on Friday, ruled on arrest of Ahmet Şık, a prominent Turkish journalist who was detained “for a tweet” he previously posted. According to the state-run Anadolu news agency, Şık is accused of making “terrorist propaganda” and publicly humiliating the Republic of Turkey, its judiciary, military and police force. Şık tweeted early on Thursday morning he was being detained by a group of police officers “for a tweet” he posted. 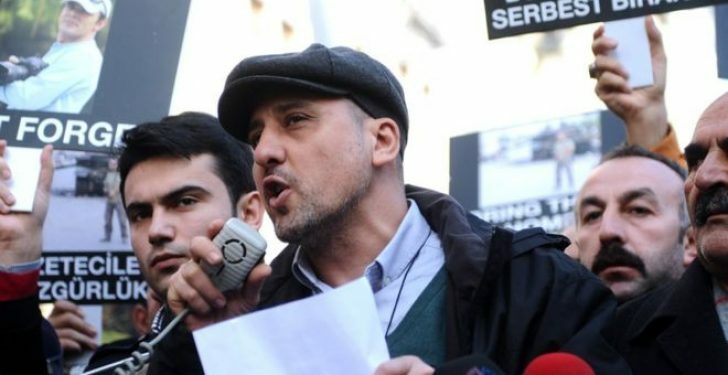 Şık previously came to public attention after he was arrested on March 6 under allegations of membership of the Ergenekon terrorist organization, a clandestine network charged with the attempt to topple the government. Turkey currently keeps more than 150 journalists under arrest, mostly being jailed after the July 15 coup attempt.